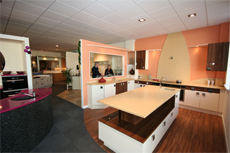 At Kitchenworld, Exeter we are a family company that have experience in creating totally unique kitchens for our clients throughout the South West area. Our showroom in Exeter is easily accessible on the Marsh Barton Industrial Estate and has free parking located to the front of the showroom. 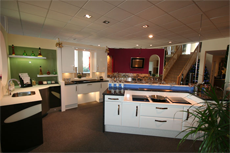 So why not pop in and speak to our of our expert kitchen designers to discuss your needs. 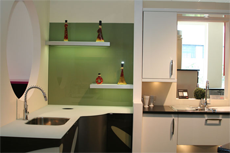 We can help you make your dream kitchen a reality. At Kitchenworld we endeavor to provide you with a unique, personal service. We can work to a wide range of budgets so don't be afraid to pop in and meet our team.